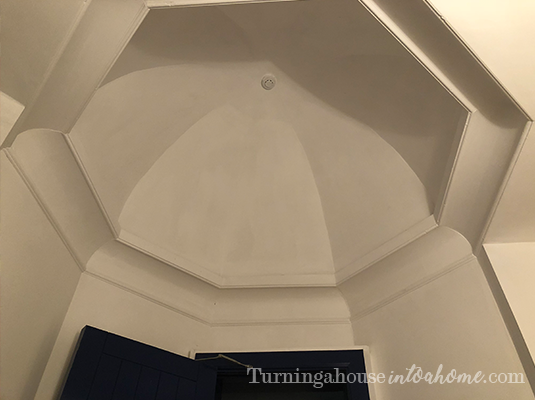 This post is a bit of a break from my normal type of update, and features no DIY whatsoever! It is house/home related though so I had to share. 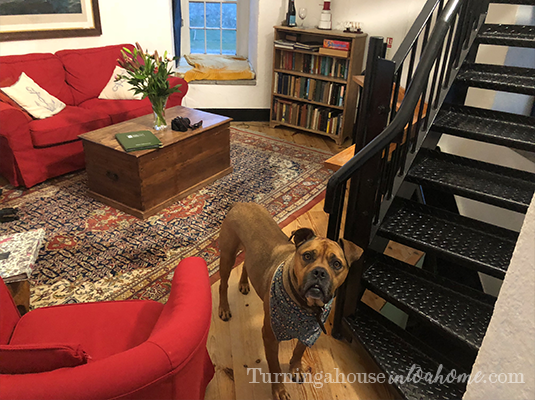 I recently fell in love with a house. A lighthouse to be precise. 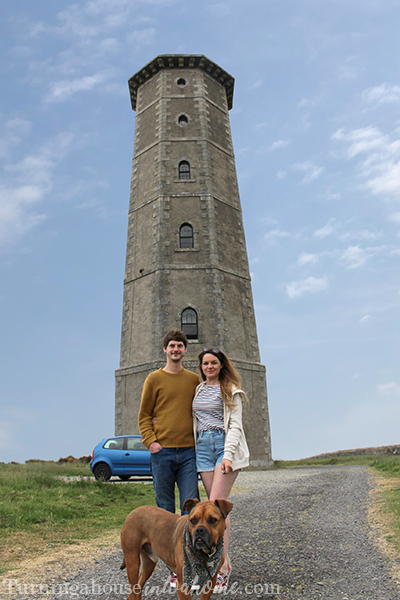 My lovely boyfriend Nick and I recently returned to Ireland (I’m from there, he’s not) to visit some family and friends. 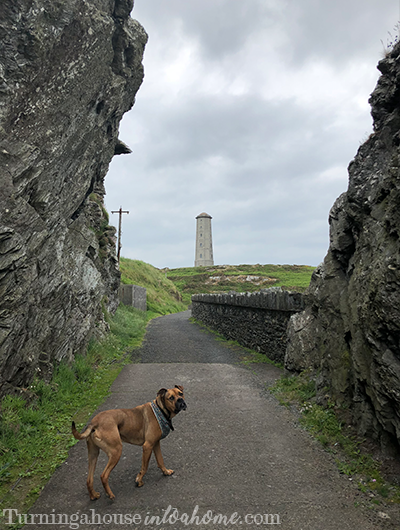 We decided to drive because I couldn’t bear to leave my dog, Ted, behind, and because there are so many beautiful places to walk in Ireland it didn’t seem fair for him to miss out on them. 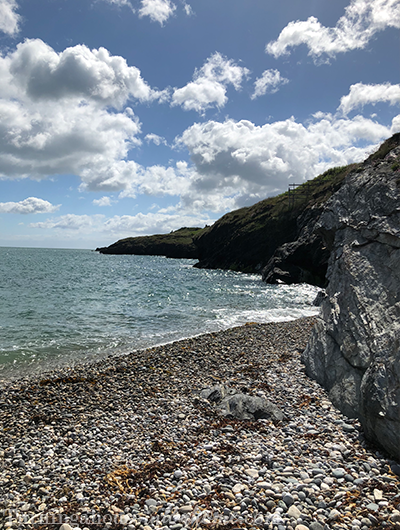 We wanted to spend a couple of days in Wicklow, which if you don’t know, is south of Dublin and full of luscious green mountains, clear lakes and some of the most breath-taking scenery you might ever come across. 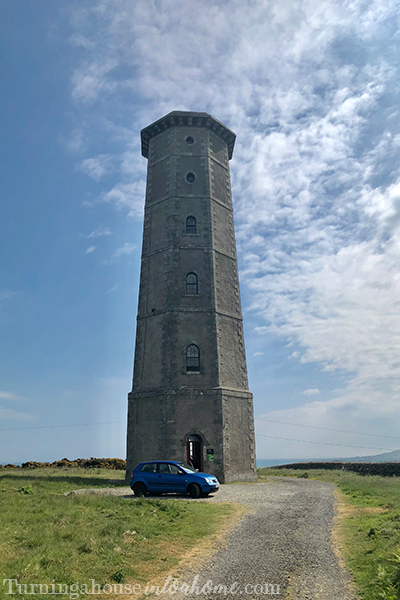 A quick Google search for “dog friendly Wicklow” came up with Wicklow Head lighthouse; an actual lighthouse that you can stay in, with sea views from three sides! 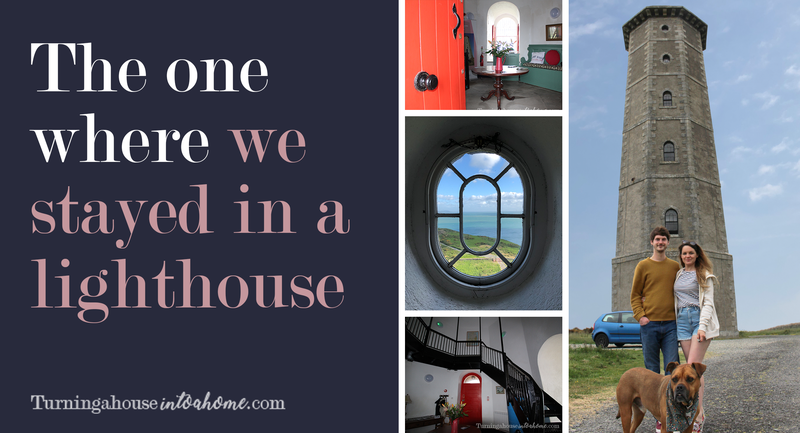 We booked two nights to stay in Wicklow Head Lighthouse and it’s genuinely one of the best places I’ve ever been! 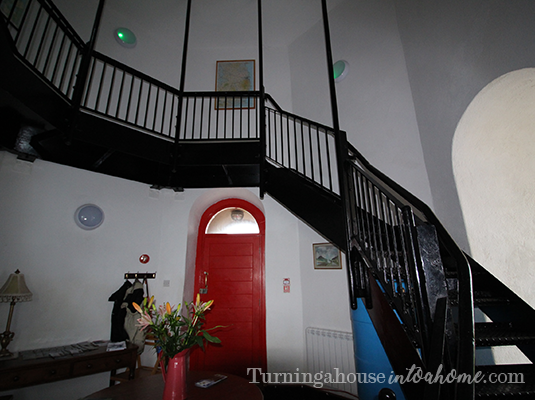 The lighthouse is owned by the Irish Landmark Trust, who maintains it and rents it out. 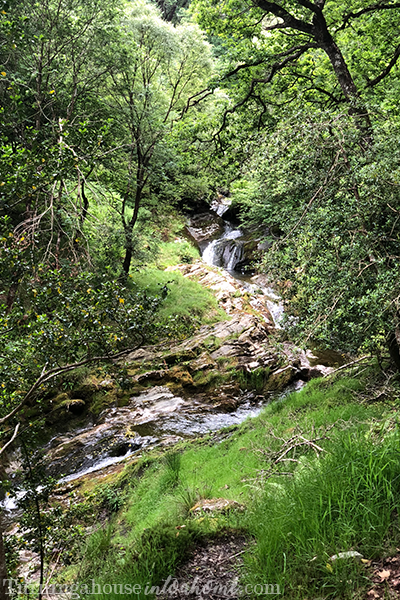 It’s just two miles outside of Wicklow town. 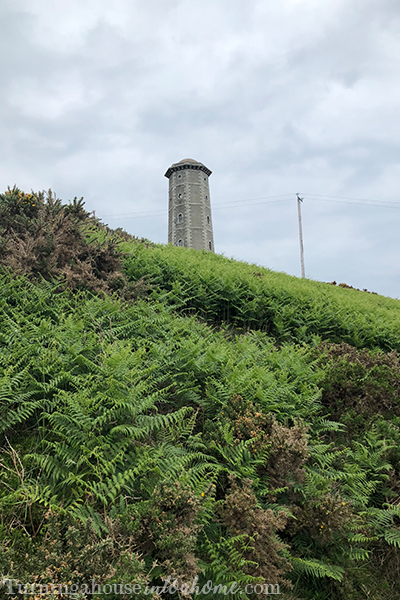 I couldn’t contain my excitement as we rounded a corner and spotted it in the distance, peeking up in front of the Irish Sea! I was so excited at this point! 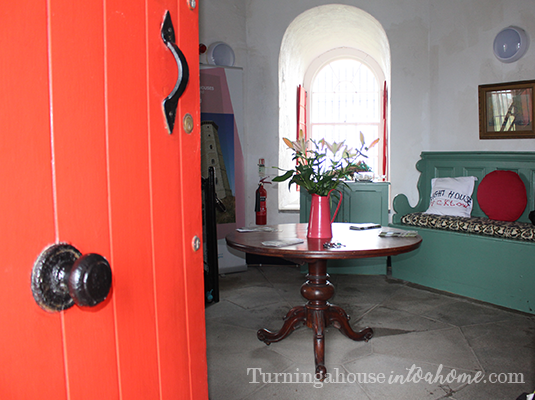 We opened the gates and drove right up to the gorgeous red front door. Just inside the door, we found the hallway and the first of the 109 steps that spiral all the way around and up to the very top. Up another floor was the first bedroom, which reminded me of my Nana’s house; really warm and cosy looking. 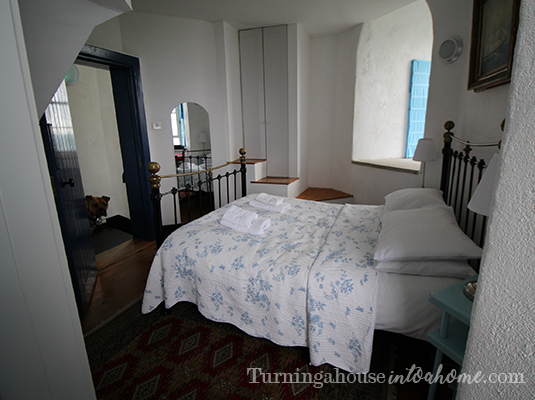 It had a subtle floral style, and a chair next to the window so you could look out at the amazing view across the Irish sea. 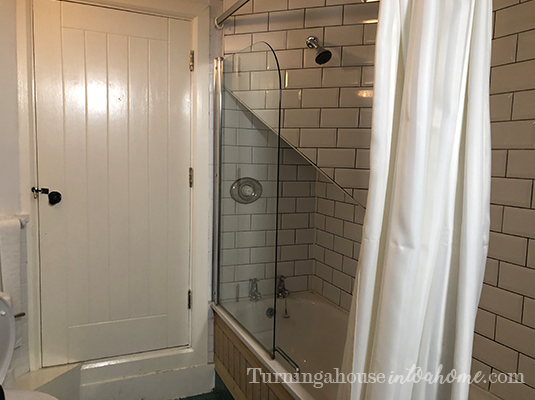 After climbing one more floor, we found the bathroom, which had a slight country cottage feel, with a wood panelled bath. 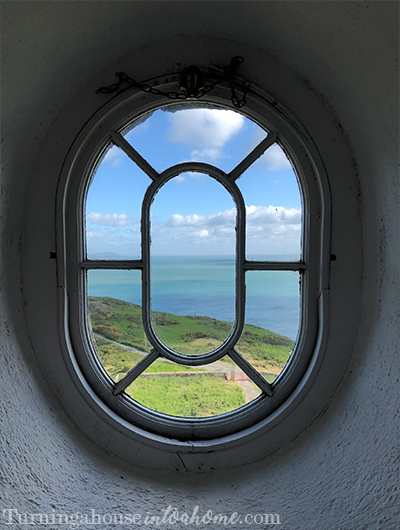 As soon as I saw it, I knew I’d have to have a bath with a glass of wine in it – it’s not every day that you get to have a pamper session in a lighthouse! Up again was the second bedroom, with a similar style to the last one. 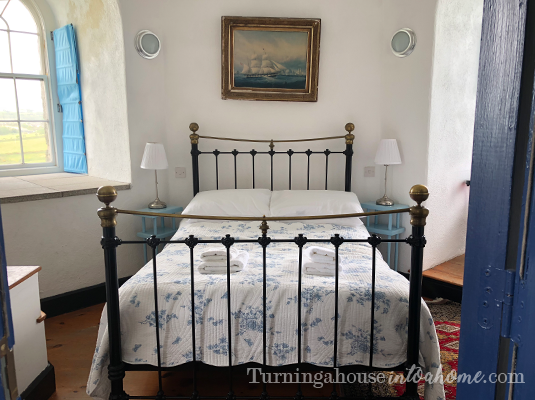 We chose this one to sleep in because it was slightly higher up and so felt a bit more exciting! One more floor up, we found the living room. 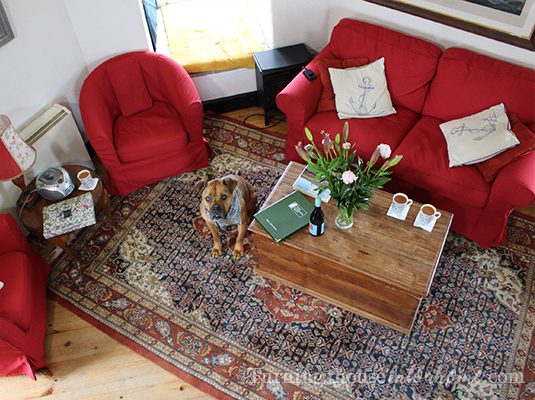 It had a real nautical theme, with paintings of ships on the wall. 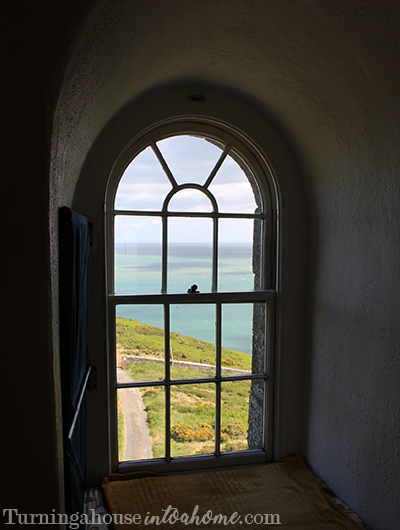 The walls of the lighthouse are incredible thick, so the window ledges are over a metre deep! 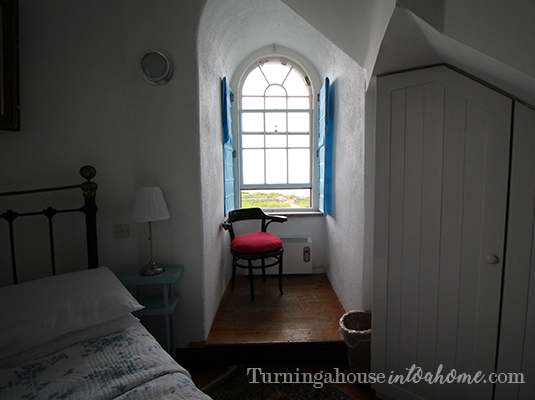 They’d been upholstered with some padded cushions so you could sit in the window and look out over the sea views. There were even fresh flowers waiting for us! One more flight of stairs and we had reached the kitchen. 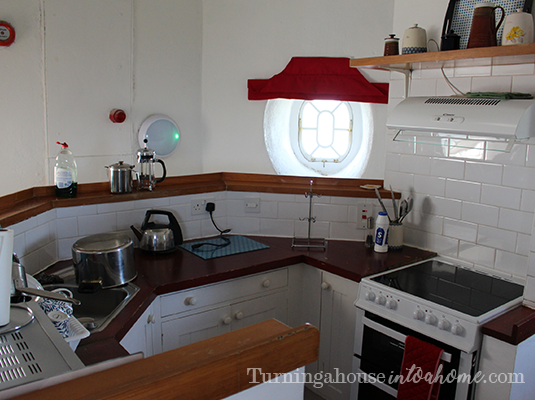 It was small but perfectly equipped, with the most incredible views on all sides. 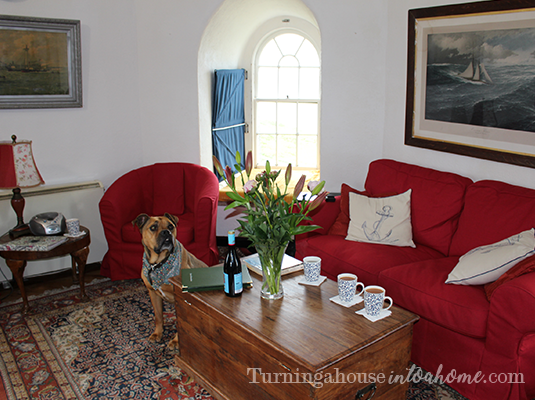 We decided to bring our own food and wine and stay in for the two nights, since the area is quite remote. 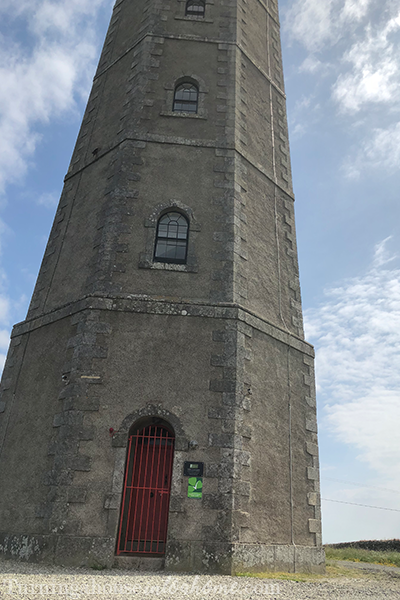 A great idea in theory, but you’ll get a great workout carrying bottles of wine up all 109 steps! Luckily, on your way up there are lots of places to stop and take in the incredible views. 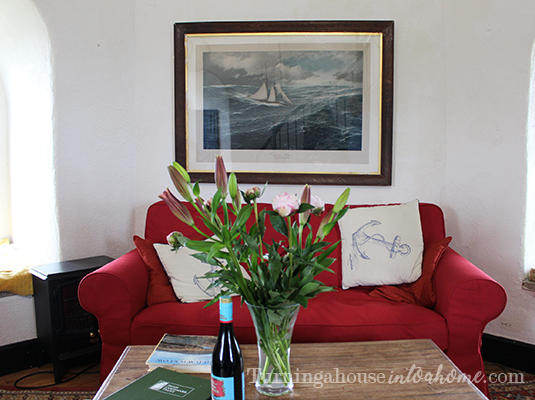 Dining table, and more fresh flowers! Once we’d settled in, we went for a walk around the local area. 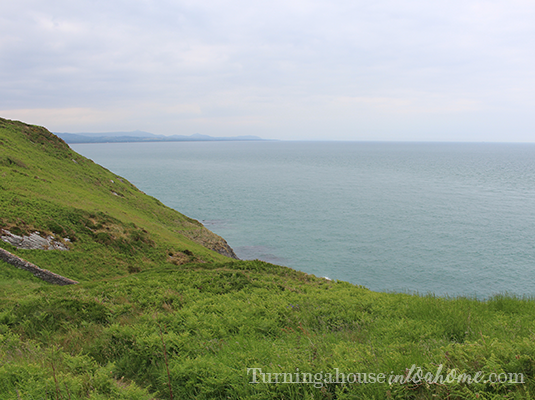 We followed a lovely winding path from the lighthouse down to the sea. There’s a beach nearby that’s famous for its seals that can regularly be seen swimming there, but unfortunately we didn’t see any. But the beach was gorgeous: deserted and peaceful. After we’d stretched our legs, we stretched them a little more climbing back up to the kitchen to cook some dinner. 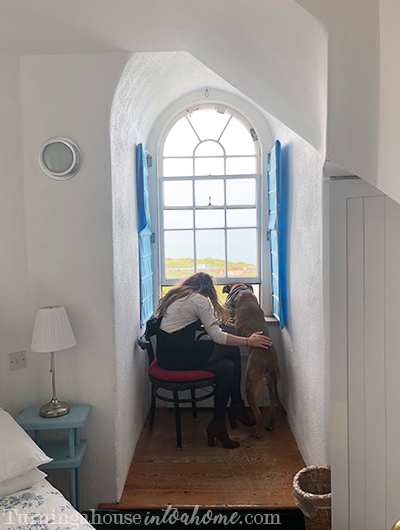 It was absolutely idyllic, cooking at the top of a lighthouse, drinking wine and listening to Billie Holiday, while Nick looked out the windows at the wild rabbits hopping around outside and Ted snoozed on the kitchen floor, absolutely knackered after all the steps! 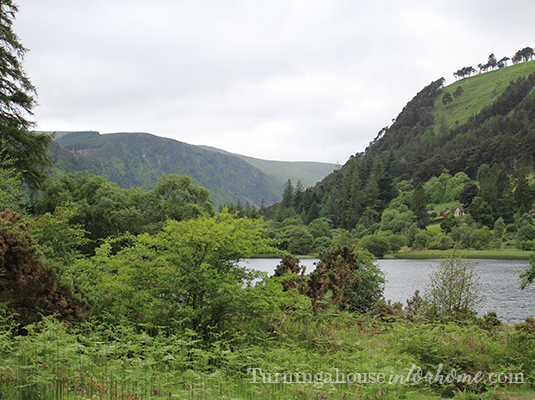 The next day we made some lunch and set off to explore Glendalough, about half an hour’s drive from the lighthouse. My parents came to stay for the second night. There’s no tv, no wifi and very little phone signal (which in all honesty was absolutely perfect) so we stayed in, drank wine, ate dinner and played a very competitive game of Uno (my mum’s a sore loser and an even worse winner!). 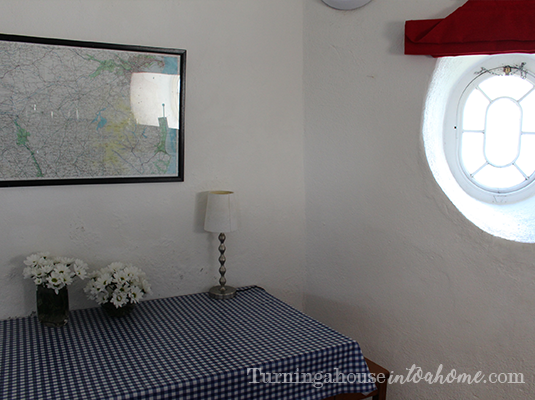 After perfect clear blue skies on the first night, we had a storm on the second night, which was incredible to watch from up high in our cosy lighthouse! 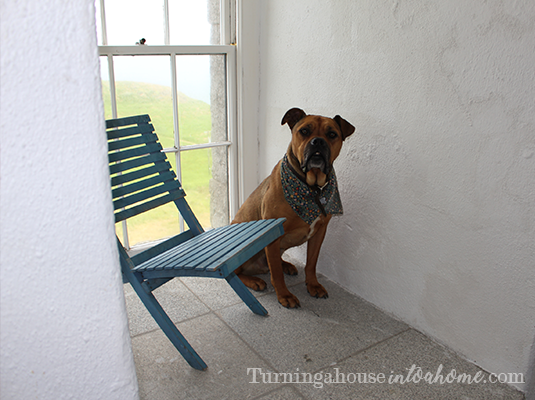 We had the best two nights at the lighthouse and days exploring the Wicklow mountains. Check out time came too soon, I would so gladly have stayed forever. If you’re looking for a once in a lifetime break that you’ll remember forever, I highly recommend it. I would gladly go back in a heartbeat! Just be prepared for a workout as you find your way around! 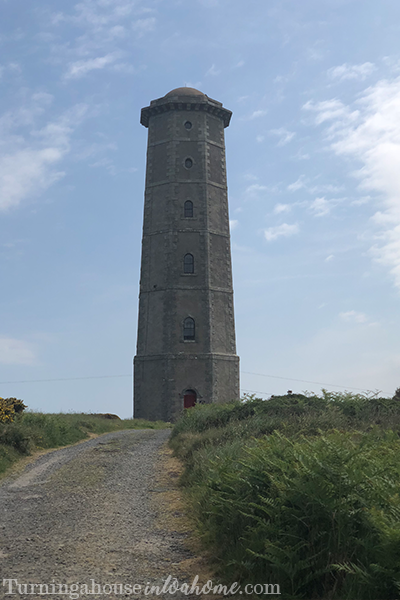 For more information on Wicklow Lighthouse or to book a stay there, check out Irish Landmark Trust. Cheesy family photo with the lighthouse! If you liked this post, please leave a comment, or follow my blog on Facebook, Instagram or Twitter for more updates.